I am not blogging as much as normal at the moment, as pretty much all spare waking minutes – and some sleeping ones – are being taken up with Operation Teddy Bear. I’ve mentioned before about taking bear selfies and it would still be GREAT if you could do them and share on social media with the #opteddybear hashtag – and if any of you are / know a celeb – please rope them in too!! Join the motley crew of Olly Murs, Sir Alex Ferguson, Angela Griffin et al! Also – there’s still time to donate teddies! All the details of Bear HQ and drop off points are on the Operation Teddy Bear website and Finlay’s Journey on Facebook. And if you don’t have teddies to donate – then good old fashioned cash is also appreciated – here’s the Just Giving page link. Please help the inspirational Finlay break a Guinness World Record and raise loads of cash for Birmingham Children’s Hospital and Brain Tumour Research. 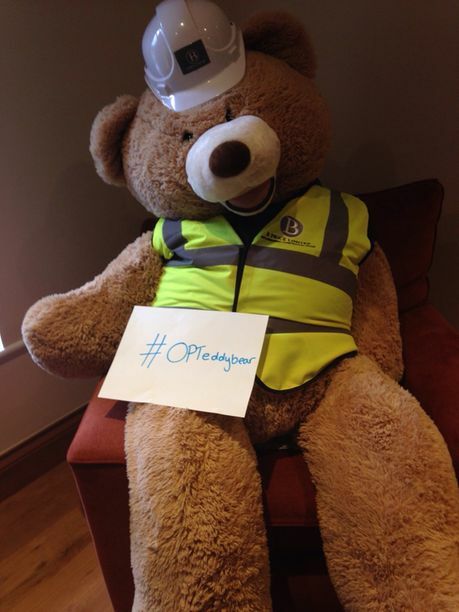 Thanks everyone, from me – and the rest of the #opteddybear team – and most importantly, Fin.